The developmental aim of a human being is to become a well-grounded, fully centered, and creative authority; a caring, autonomous, and responsible adult. According to this definition, an adult is more than just a “grown up,” someone who has reached a certain age and stage of physical maturity. As I’m using the term, adult refers to an individual that has attained a level of self-actualization and fulfillment of the species. What the species holds in potential is thus actualized, or actively expressed, to some degree in the adult individual. 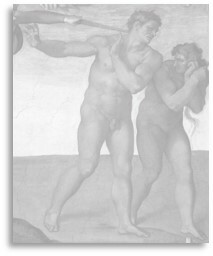 Apotheosis is less familiar, although it too is deeply rooted in myth, politics, and religion. In the Latin (Roman Catholic) West and its Protestant step-children, apotheosis never officially made it into Christian orthodoxy – and it’s not hard to guess why. 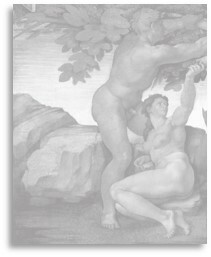 While the term names a politically self-serving proclamation by a Roman emperor of his deceased predecessor’s deification, apotheosis in religion also refers to a human being’s progress into God; not merely getting closer to the deity in prayer and devotion, but growing into God to the degree that the human being is sanctified, glorified, and awakens to divinity. That’s why it couldn’t be allowed into orthodoxy – at least in the great Western branch (and countless splintering twigs) of Christian orthodoxy. The Western traditions (Roman Catholic and Protestant) picked up on the Jewish-biblical theme of atonement and made it the fulcrum of orthodoxy. 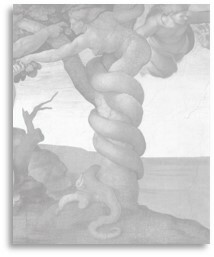 Humanity’s sinful condition separates us from god, and the process of returning to right relationship (called reconciliation) is conceived as a juridical transaction involving exoneration from guilt by the satisfaction of a penalty and the judgment of god (or his ordained church officials) that the sinner is forgiven (called justification). The benefit is a clear conscience, but more importantly it means restoration to good standing with god and the covenant community. It’s this idea of being brought back to a position temporarily forfeited by the rupture of sin – or perhaps permanently forfeited if proper atonement is not made – that is particularly interesting, especially when contrasted with the progressive, forward-moving, and transformational notion of apotheosis whereby the individual advances to a heretofore unrealized state of being. There are reasons why atonement rather than apotheosis became the fulcrum of Western Christian orthodoxy, which I won’t dig into right now. Most likely this preference was driven by such factors as religious persecution (which tends to unify the victimized community), the strong juridical theme in Jewish mythology (Yahweh as king and judge; salvation as being set free of debt and guilt), and the fact that early Christianity grew up in the Roman era with its overriding governmental, judicial, legal and military obsessions. But let’s go back for that tour I promised, showing how this tension between the pull-back of atonement and the forward aim of apotheosis is relevant to understanding the threshold between theism and post-theism. The hero of our story – the one we’re all so concerned about, whom I name Captain Ego – gets started on the adventure by restraining and redirecting natural impulses of the body into behavior that is socially compliant and proper. With considerable help from the tribe in the form of guidance, feedback, and discipline, individual identity (ego) gradually establishes a center of self-control, social recognition, and personal agency. Of course, there’s no going back. Besides, the ego is compelled by a second drive, which is to separate itself from this comfortable anonymity and stand out in freedom, to be recognized as special and unique. This imperative is what’s behind that signature feature of Western civilization: its individualism, its infatuation with stand-out celebrity, unprecedented achievement, and heroic glory. As you can tell, this pursuit of freedom and self-importance stands in direct opposition to the ego’s need to fit in and belong. Welcome to the inherently conflicted adventureland of personal identity. 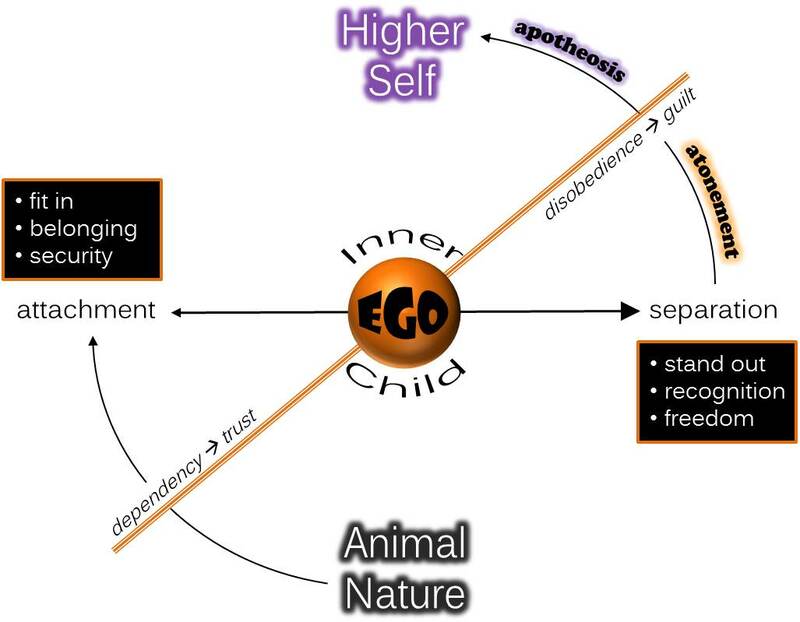 Further progress into adulthood – that is, into the human fulfillment represented in the self-actualized adult – will need to continue with this formational process as the individual awakens to his or her higher self (soul). Earlier identifications will need to be transcended – such as belonging to this tribe and holding these titles or awards – which inevitably is confronted with resistance from society. This is who you are. You are only a person of value and respect because of your standing as one of us. You need to stay here and obey the rules! A certain guilt is induced with disobedience. And here we’re not talking about ethical violations such as deceit, theft, and murder, which are genuine threats to human community; but rather the kind of disobedience where an individual sets down the masks and steps out of the roles that define identity, in order to assume creative authority in his or her life. Before the developmentally opportune moment (what in Greek is called kairos, the critical opportunity for action), such forays into a more authentic life will convict the individual with a guilty conscience. But when the time is right and the individual is possessed of sufficient courage to bear the consequences of his or her choices, a guilty conscience will give way to conscientious guilt, willingly accepted in civil disobedience. Conscientious guilt is the price of identifying with goals, principles, and ideals that represent realities and possibilities beyond the sacred conclusions and status quo of the tribe. Siddhartha (the Buddha) breaking a hole in the wall of the caste system to allow for the liberation even of outcasts, Jesus (the Christ) reaching out to include sinners and the ritually impure, Martin Luther King, Jr. instigating boycotts and leading peace marches against race and class inequality – these are historical examples of individuals who accepted conscientious guilt in pursuit of aims they regarded as more noble and necessary to true human progress. As a final measure, the tribe might appeal to its patron deity and the precepts laid down by orthodoxy. How can you arrogantly believe that there is more to life than what we have for you here. We are the chosen ones. This is the covenant community, obedient to god and blessed in turn with eternal security. You’ve grown up under the grace and clear directives of our patron deity. You have enjoyed the benefits of membership all these years. And now you are ready to throw it all aside, turn your back on god and us for the sake of your own selfish fulfillment? Excommunication and everlasting torment in hell are what you are really choosing – just be clear about that! And this is just where atonement works its magic – if it can persuade the waking soul to instead submit to the prescribed procedures of confession and repentance in order to be pardoned and reconciled back to where a true believer rightfully belongs. Things inside run more smoothly when we all stay in our proper place and do what we’re told. Heaven is up, hell is down, and the devil is locked outside. You barely made it back, but good for you! Or else, this is just where apotheosis makes its fateful move. With the courage not of convictions but of an evolutionary purpose taking root and springing forth from within, the individual draws strength from the grounding mystery and enters more fully into the realization that all is one. It is no longer “me and mine” or “us versus them,” but all of us together, sharing this moment in faith, holding the future open with hope, releasing fear for love. We are growing into God.